I’m going to keep the chatting to a minimum and just show you a photo tour of our Thanksgiving this year. Enjoy! 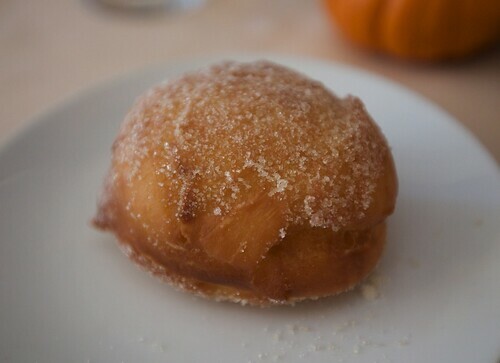 It all started with a donut from Madeline Bistro. 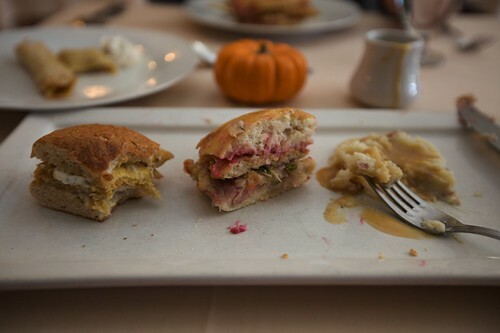 The phillet no phish sandwich, Thanksgiving sandwich (which is pretty much all you could ever want from Thanksgiving), mashed potatoes and gravy. 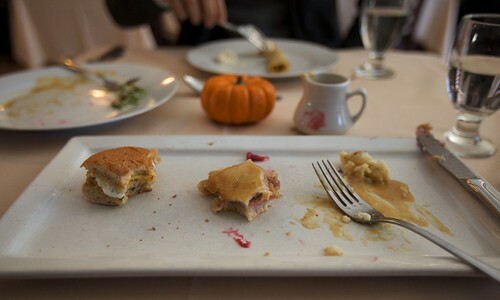 Vanishing meal. Also consumed: biscuits & gravy, crepes filled with fruit. All amazing. Visiting turkeys from Animal Acres. 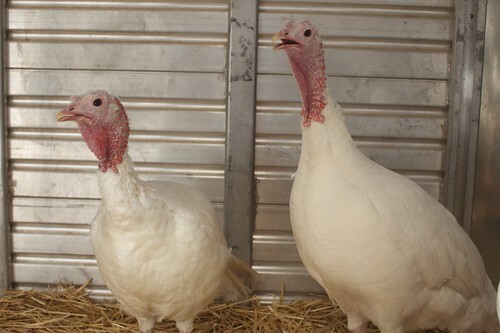 Luckily these guys will live long happy lives instead of being abused and murdered this Thanksgiving. Yeah, I said that. 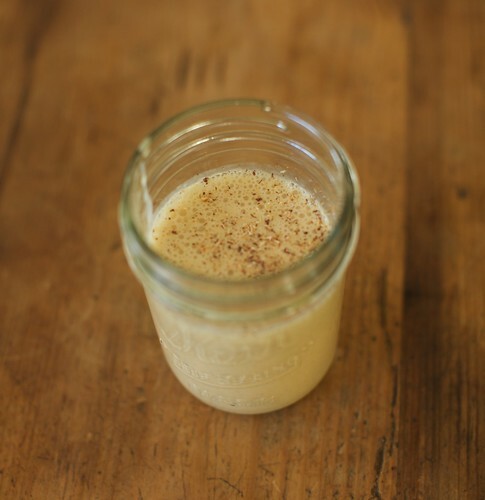 Homemade pumpkin soy nog. My mom made this! I think that’s pretty awesome. 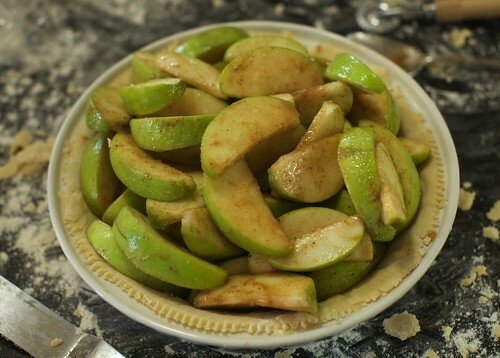 When making a pie, it is absolutely necessary to make a mess. It makes it taste better, I promise. Best way to work up an appetite before Thanksgiving dinner. 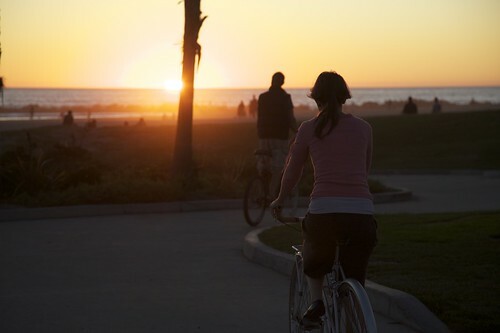 Okay so it was a rather leisurely ride to the beach. 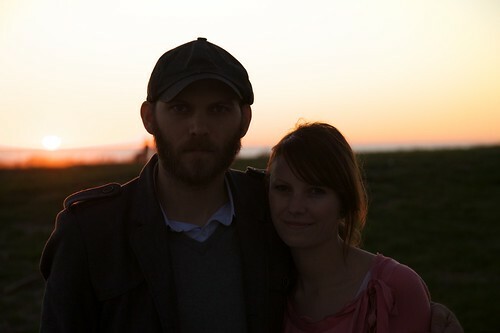 We were rewarded with a gorgeous sunset. 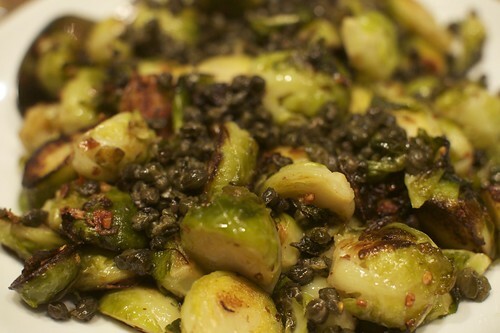 Brussels sprouts with capers. Oh how I love brussels sprouts. 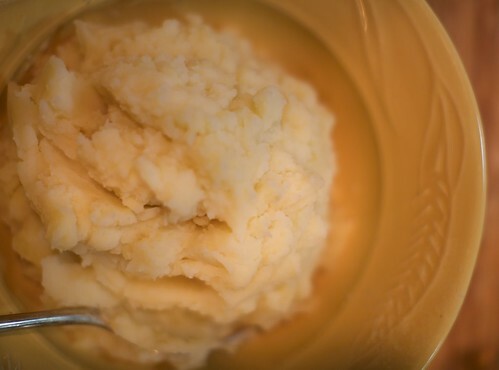 Perfectly fluffy and wonderful mashed potatoes whipped up by Shawn. He also made fabulous gravy to go on top. 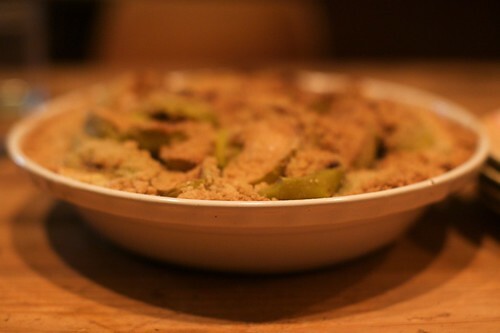 There’s that apple pie! All baked up with the infamous crumbly top. This is the last thing I stuffed in my face today. I haven’t stopped eating yet… this posted just made me hungry all over again! Those brussels sprouts look perfect. Your dinner is so much fancier than mine. I love Madeleine’s! I am sort of glad I wasn’t there though. My daughter has been asking for a turkey since I read her the Twas Night Before Thanksgiving. She thinks it would be an awesome pet. That nog looks pretty amazing too. Wow. That looks like an absolutely perfect day, filled with delicious food, wonderful fun and lots of cute Turkeys! this looks like the perfect thanksgiving! i have always wanted to try that no fish sandwich at madeleine’s! the no phish sandwich is really good. i recommend getting it with something else though. on it’s own it is not quite filling enough. mmmmm everything looks beautiful! remember when we had thanksgiving this summer?! i kept thinking about that yesterday hehe. yes! we had our dinner last night at the same table as the one we had this summer. pretty funny. Thanks for saying it! And I love your meal. Wow all of that looks so amazing. Especially the homemade nog! Oh goodness… the nog and the Thanksgiving sandwich look AMAZING. Tell your mom I think she’s cool. Madeleine’s and such amazing home-made food? Looks like a perfect day! I thought I was totally over Thanksgiving food, but this is making me want more! holy crap brussels sprouts and capers…holy crap.